When I saw the “Mr. General” robot by oddbot (link), I loved it. 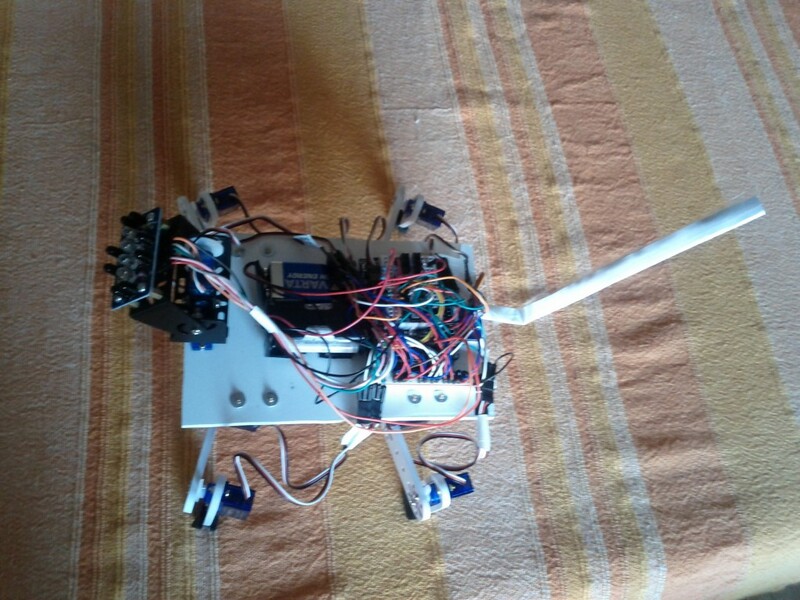 I thought it is “expressive”, a skill difficult to find in a robot built at home. 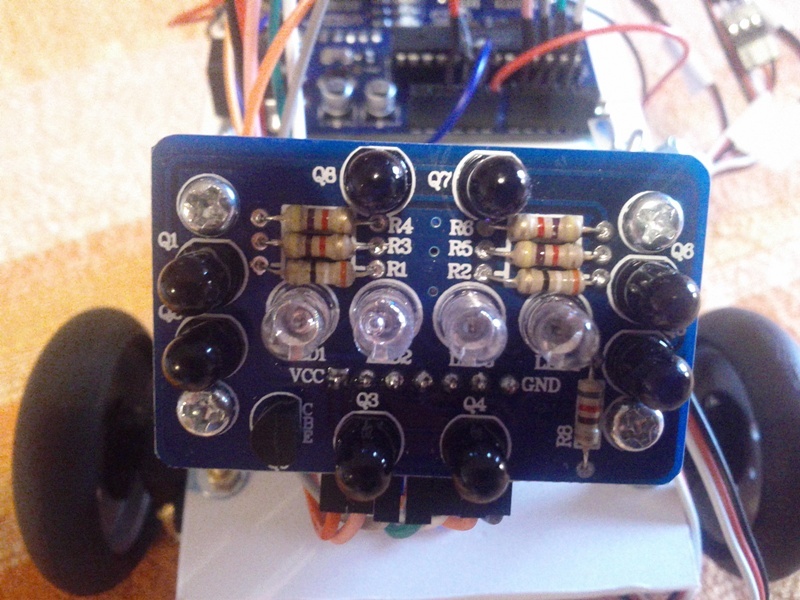 So I built my version of Mr.General with Arduino. 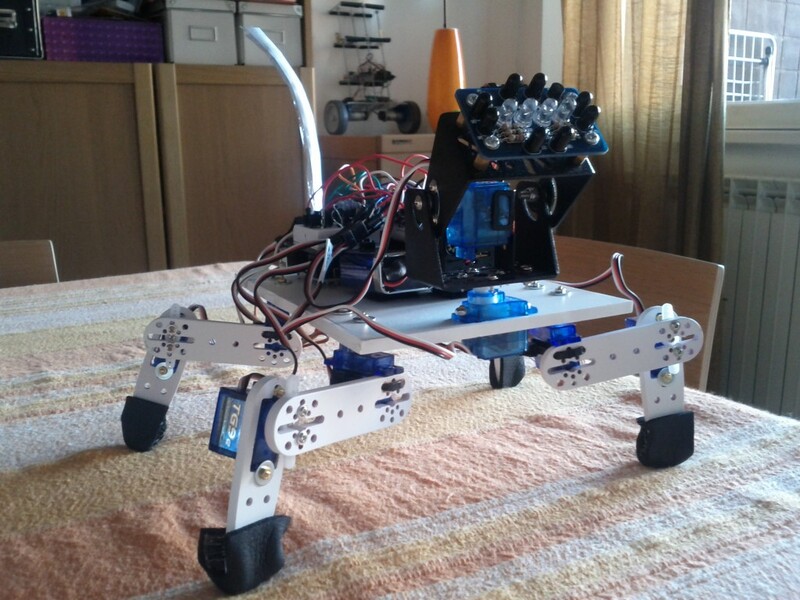 The robot is based on compound-eye sensor (link): an infrared sensor that, with a minimum of programming, knows if the object, moving ahead, is going up, down, right or left. 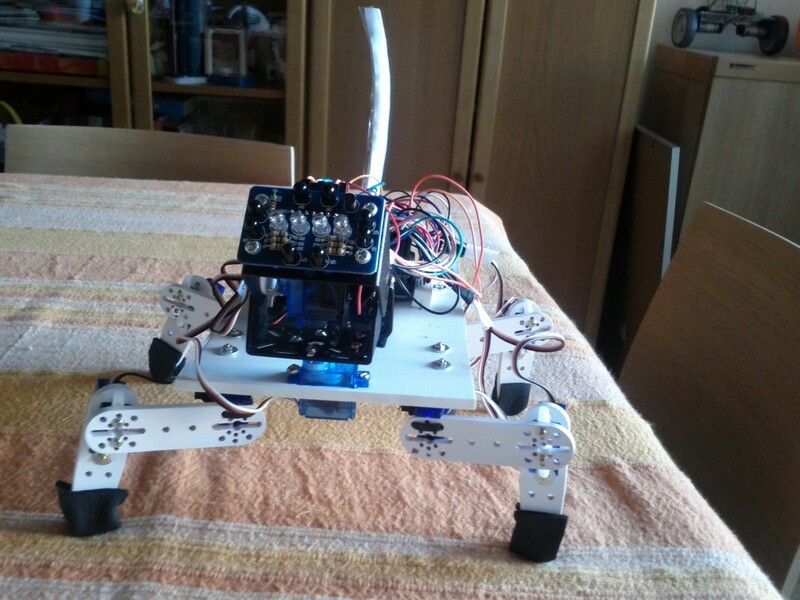 For the building, in addition to the compound eye sensor, I used two brackets with two servo motors that allow the pan and tilt mouvement, like a head. Also these have been provided by the Dagu, that created the compound eye (link). Both these items are very cheap: the compound eye costs $ 9, pan and tilt costs 14.5 dollars, including the two servomotors. The advantage of using pan and tilt sensor of the same company is easily understandable. They are perfectly integrated and perfectly complementing. 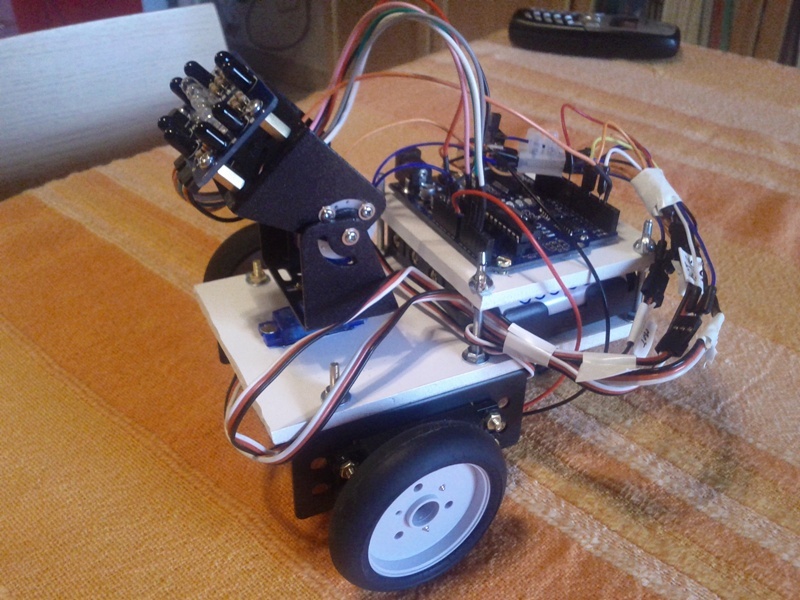 To complete the robot, in addition to the Arduino, I used two continuous rotation servos, a little wheel caster and two battery packs, one for the Arduino and one for the servo motors (I recommend always using separate power supplies with a common ground). 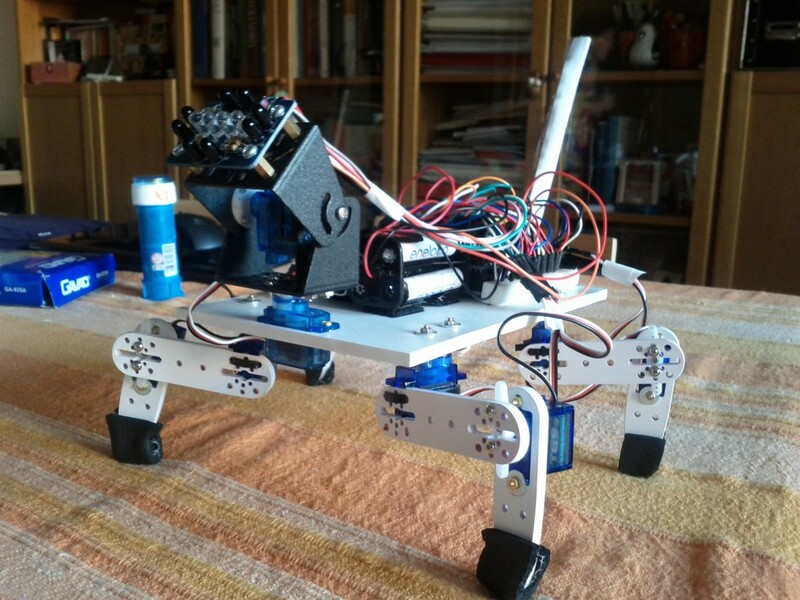 The chassis is built using a PVC foam sheet of 5 mm which has an incredible ease of modeling (you cut it with a knife) and an acceptable mechanical strength and rigidity. What the robot does? 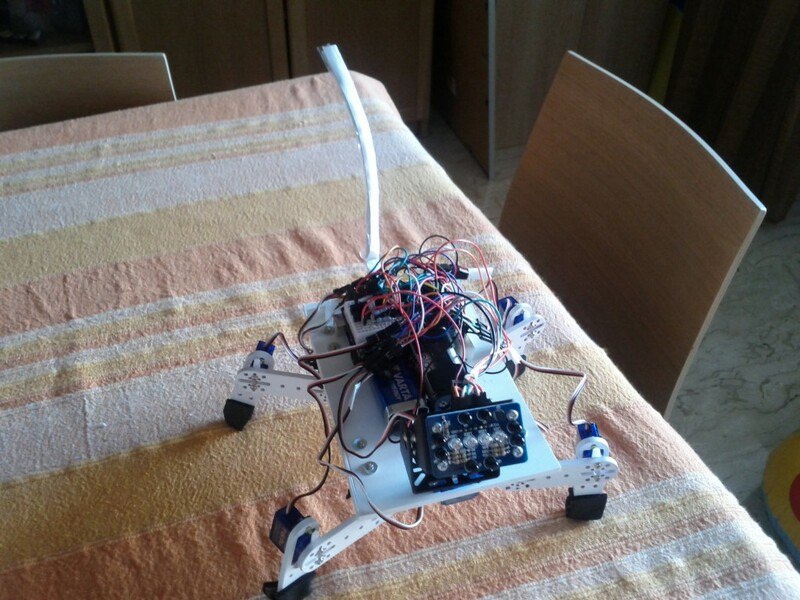 It is a diffident robot. It waits until an an object is in front. Then it starts, follows the object moving in front of him, looking like a good robot, trying to keep the right distance from the object. if the object goes too close, the robot runs away, when if the object goes away, the robot begins to chase.